COLUMBIA, S.C. (AP) — The coach’s son was having the game of his life in the biggest game of his dad’s life. Down 1, UCF’s Aubrey Dawkins pushed a miss back up with his right hand with 2.5 seconds left. The ball bounced once, twice and then rolled off the rim. “Heartbreak. That’s the only way to sum it up.” Aubrey Dawkins quietly recalled 20 minutes later to reporters. Nothing left to do but console his teammates, sprawled across the floor after the 77-76 loss where UCF led 76-73 with 14 seconds left when Duke’s Zion Williamson drove right at UCF’s 7-foot-6 Tacko Fall. The superstar Williamson hit the layup while drawing the big man’s fifth and final foul. R.J. Barrett put back Williamson’s miss for the winning basket. “It was up there forever, I felt like, in slow motion. Once I saw it go past the midpoint and roll out, it was, at that point, nothing left to do,” he said. “Aubrey was the best player on the court today. 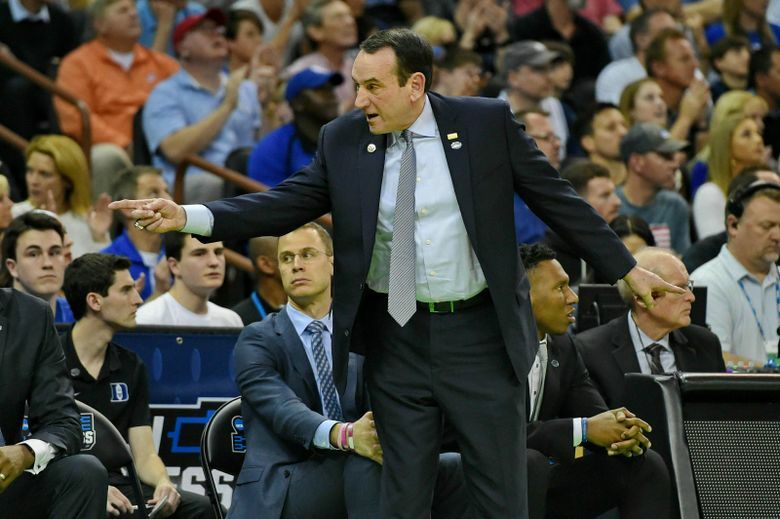 He was magnificent,” said Duke coach Mike Krzyzewski, who told reporters he was close to tears, heartbroken for the opposing coach who helped build Duke into a powerhouse in the mid-1980s and the boy he watched grow up in shooting sessions after practice with his dad in Cameron Indoor Stadium. 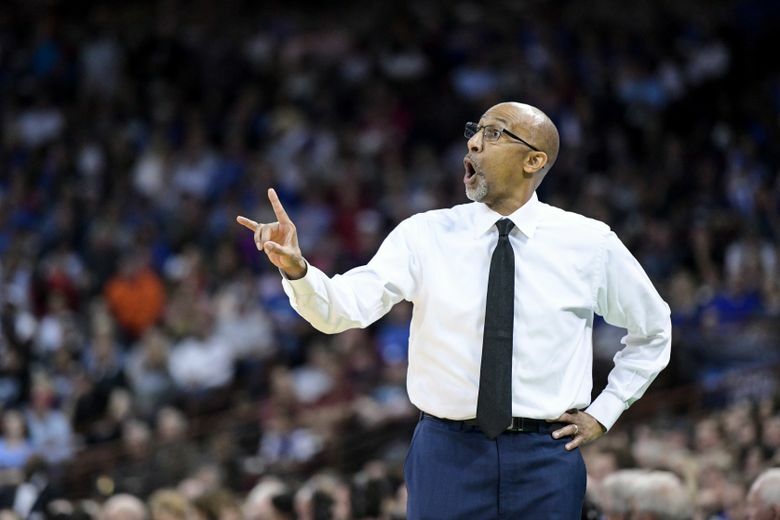 Johnny Dawkins, who addressed his sobbing players in an emotional locker room speech after the loss, was the point guard for Krzyzewski’s first Final Four team. Aubrey Dawkins wanted to go to Stanford and play for his dad, but the school didn’t admit him, saying he didn’t meet their academic standards. Johnny Dawkins said Saturday that may have been a blessing in disguise. He loved his son, but wasn’t sure he could coach him after spending so much time with him on the court through the boy’s childhood. “Having the chance to be around him at this stage in my life and my career in basketball has just been priceless. That’s what I love most, just going every day next to him and learning from him and us getting closer as a father and son and also as a player and coach,” Dawkins said.